Protein pancakes! All natural, no refined sugar and packed full of healthy protein, these oatmeal pancakes are the stuff that dreams are made of! If you are looking for directions on how to make protein powder pancakes, then you have come to the right place! The kind of light and fluffy protein pancakes that make you want to jump out of the bed in the morning. Skip the high fat, sugar loaded carb bombs that you will get at your nearest Waffle House and make a healthy pancakes recipe that your body will thank you for long term. 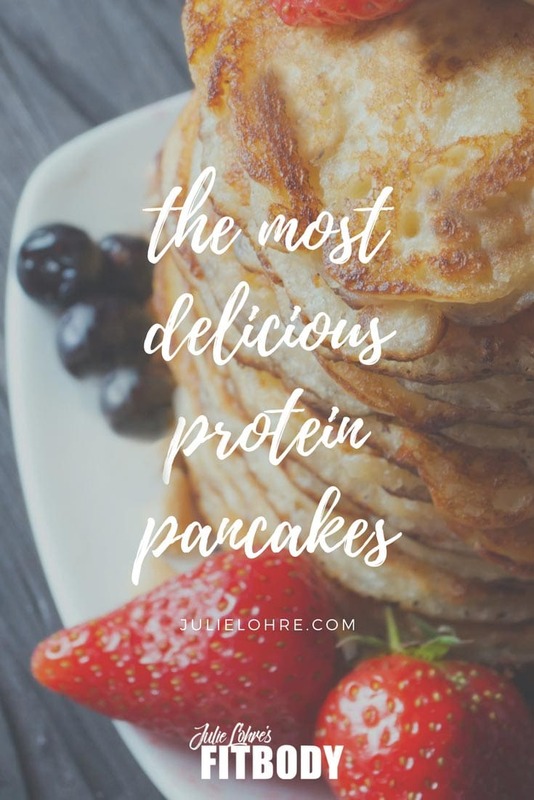 Find out why these protein pancakes find their way to my breakfast table almost every morning – whether loaded with strawberries as I am sitting on my back patio with a cup of steamy coffee or rolled up and on the go as I am heading out on the road. 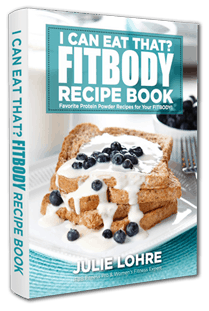 My favorite protein pancakes recipe offers a high protein breakfast option. It is incredibly tasty, super easy to make and perfect for cooking up the night before when you have to be out early the next morning. 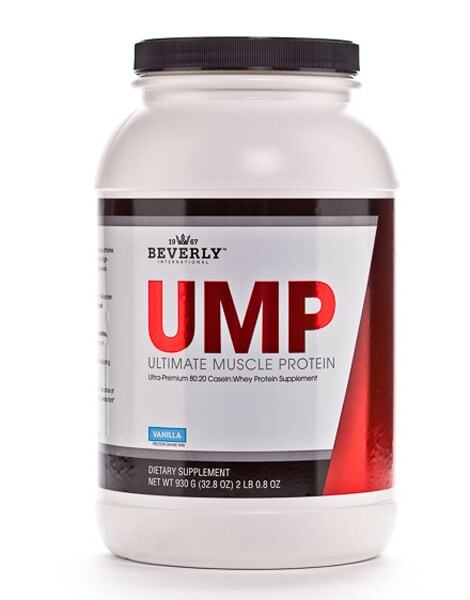 My day is not off to the right start without my Beverly International UMP Protein Pancakes! Remember those mornings as a kid you would wake up on a Saturday morning to the smell of oatmeal pancakes and bacon? I loved heading downstairs to see my chef dad (yes, my dad was really a chef back in those days) to see him whipping up a batch of hotcakes for us all. Get out the syrup, chocolate chips, whipped cream and yes... powdered sugar... grab a blanket and turn on the cartoons. It was breakfast party time! Well, these days I care a whole lot more about eating healthy and feeling great, so I have taken one of my all time breakfast favorites and modified the pancake recipe to lighten the sugar load and pack in the protein. By replacing the unhealthy ingredients with healthy options, I have come up with the best protein pancakes recipe of all time! Nine out of 10 mornings a week you will find these bad boys on my healthy breakfast plate. The best part is, they are super quick and easy to make! It can be tough to make oatmeal pancakes come out light and fluffy but with the right amount of egg whites and my favorite protein powder, Beverly International's Ultimate Muscle Protein this healthy pancake recipe gets it right for me morning after morning. Mix oatmeal with 1/4 cup water and microwave for 1 minute. Add remaining ingredients and add water to batter consistency. Cook in a skillet until bubbles form on the top and then flip. "My appetite is good first thing in the morning and who doesn't love the blueberry protein pancakes! I took your best protein pancakes recipe here and tossed in a handful of blueberries to the mix. The result was gooey, yummy blueberry healthy pancakes that fuel me for the day! Thanks Julie!" 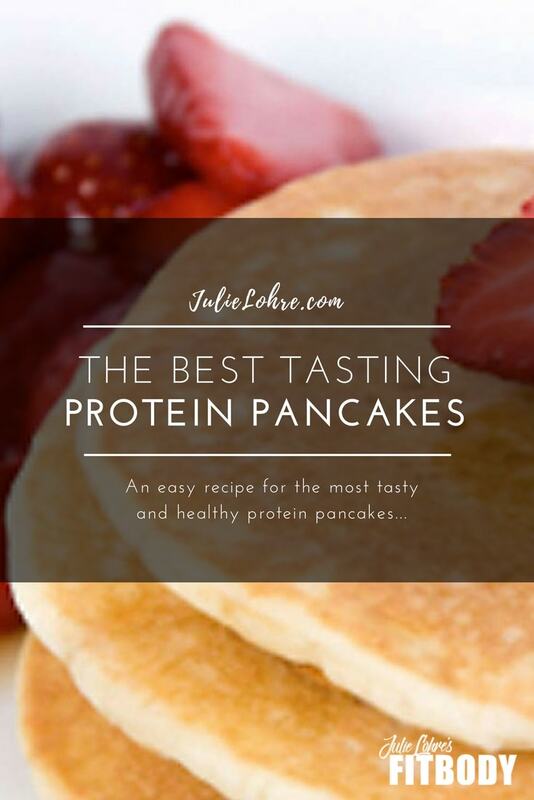 "I was so surprised to see that you recommended these protein pancakes as part of my breakfast with our online training program. Over the last year I have been trying to lose weight by eating super bland foods and I have cut out some of my long time favorites, like pancakes. With just a few easy tweaks, you have showed me how to make protein pancakes that melt in my mouth but also are healthy. I mean seriously, waking up to pancakes in the morning and losing weight??? Life is good!"